I really like this 28mm bocage hedge from the www.elladan.de/ website. You can see how it was made here. Tim Marshall made this lovely stuff (20mm) and shows you how to do it on his Tim’s Toys website. 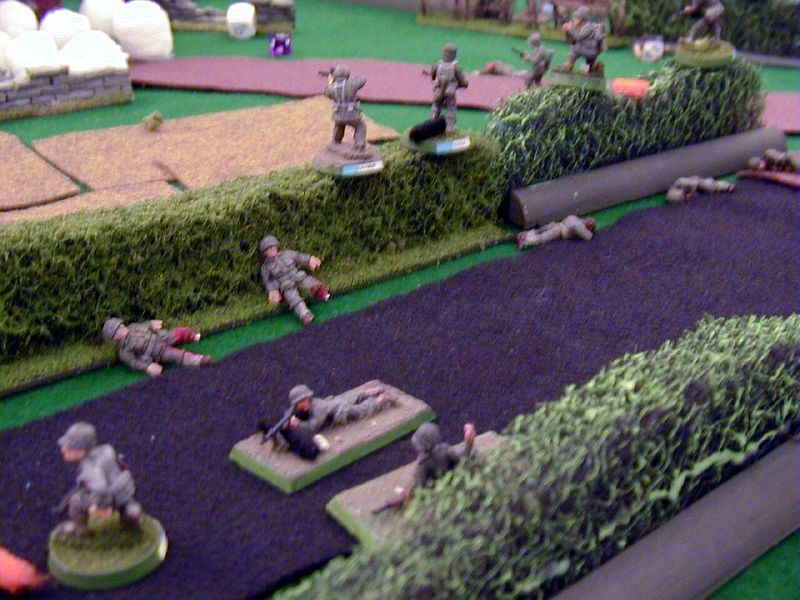 This 28mm bocage can be seen at Sgt Perry’s Heroes, where there are more pictures of it being used in a game and an article describing how it was made. Some commercial offerings are quite good as well. These hedges come from Miniature Worldmaker. They look good to my eyes, but the banks are a bit lower than I’d like. The pieces are 20mm high and could probably be used with either 15mm or 20mm miniatures. Ironclad miniatures’ Bocage hedgerow system (20mm) is OK, put some static grass or flock on the banks and you’d be good to go. And of course I quite like the 6mm bocage I made myself for use in IABSM. There’s a picture below and a post here showing how I made it. Unfortunately there’s an awful lot of rather bad bocage terrain out there – commercial and home made hedges that are based on a fundamental misconception of how the banks of bocage hedges are formed. Stuff that I call Mocage, . If you’ve got any other examples of good looking wargaming terrain for the bocage please tell me and I’ll add it to this page. I need some cheap bocage for 28mm Bolt Action. Any tips? Leave out the rocks 🙂 But seriously, not really. I’m putting off making some bocage in 15mm for myself, until I get a good method worked out. Hi, heres my attempt a few years ago. I haven’t done anymore since though. 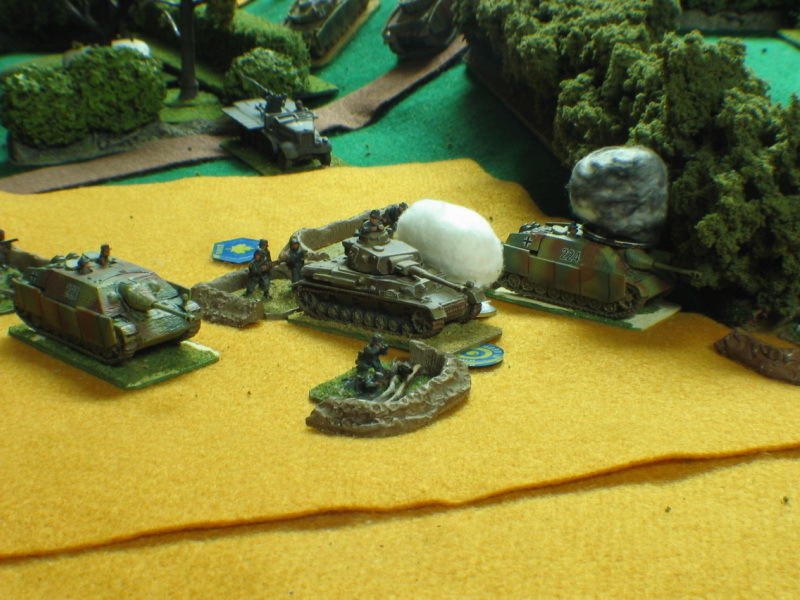 I have been using my 28mm Bocage as 15mm as well. Latest version not on my phone but will try and send you samples. Hopefully this is better. Flickr site under TankGuy1.